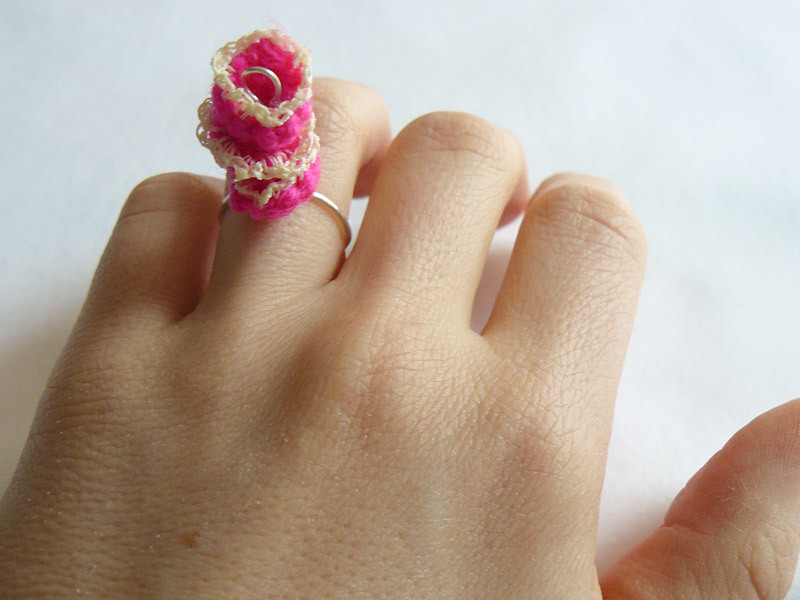 Three hand crocheted merino wool flowers with cotton thread detailing stacked on a sterling silver band and post. 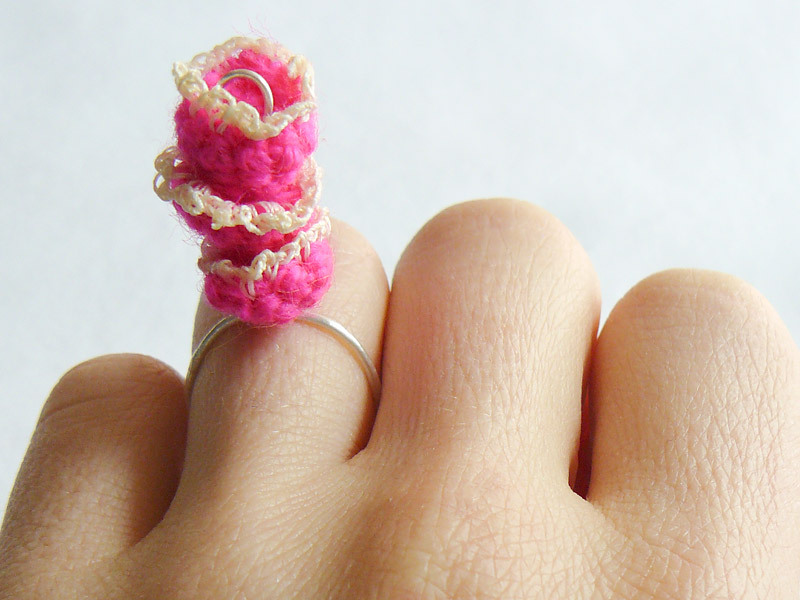 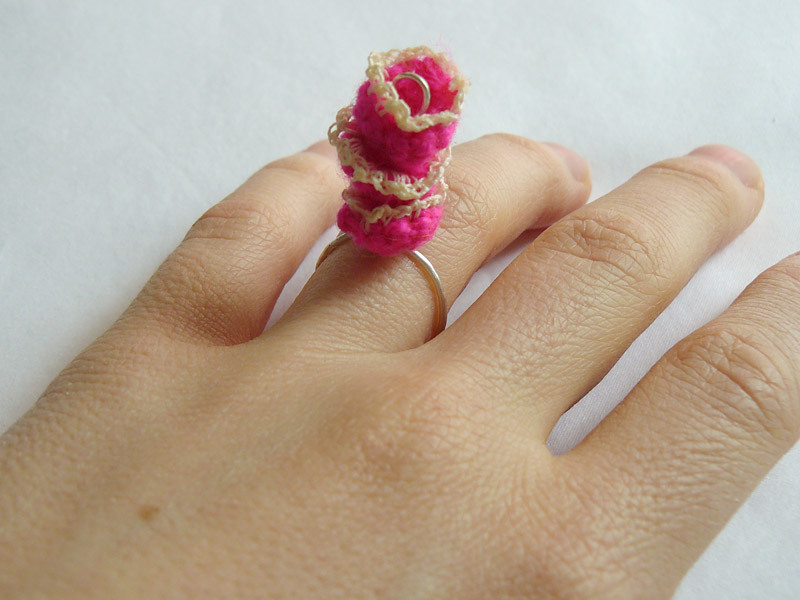 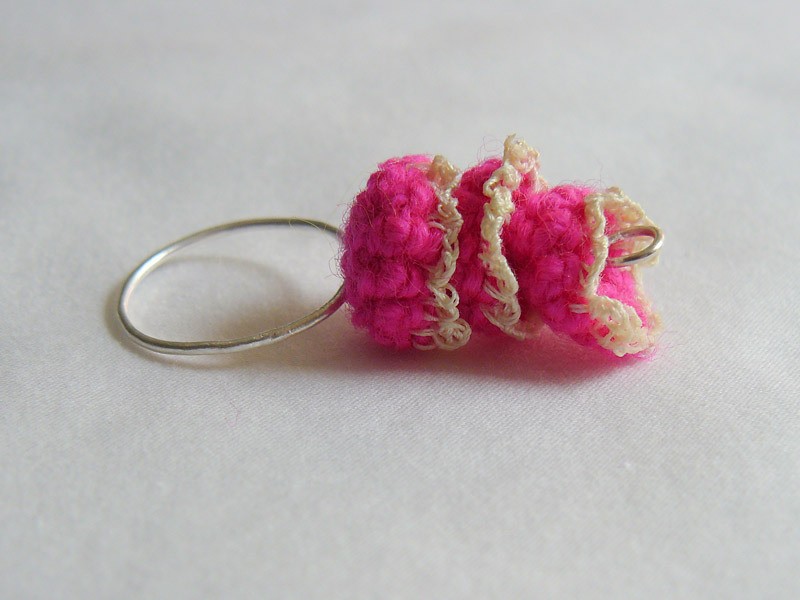 Ring can be made to order in any size. 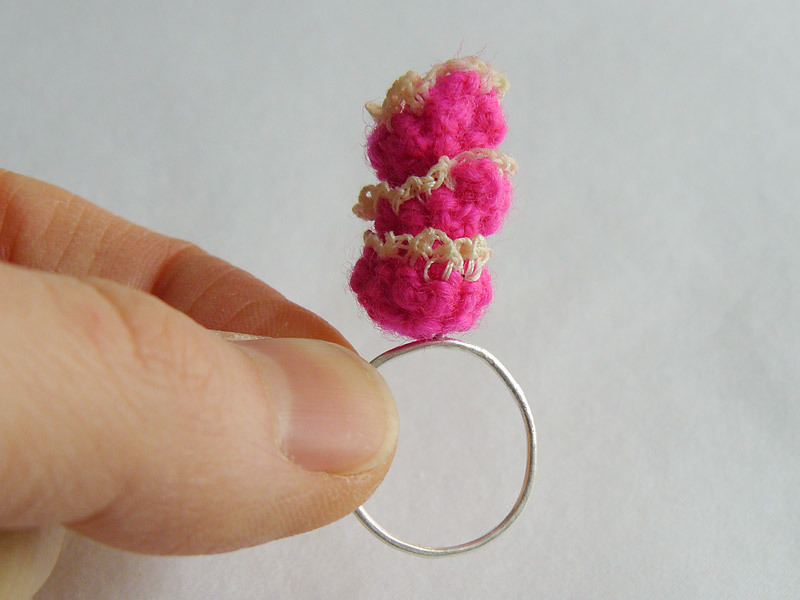 Ready to ship in size 6 1/2.